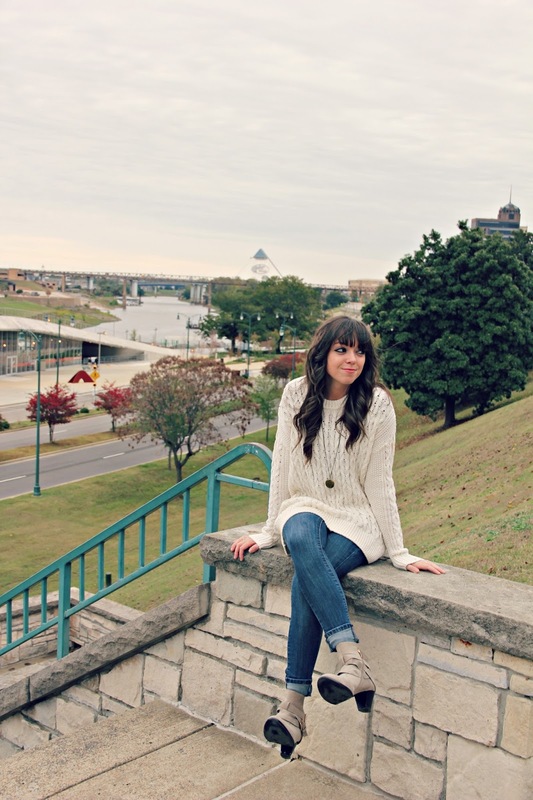 I am all about a comfy chunky sweater. 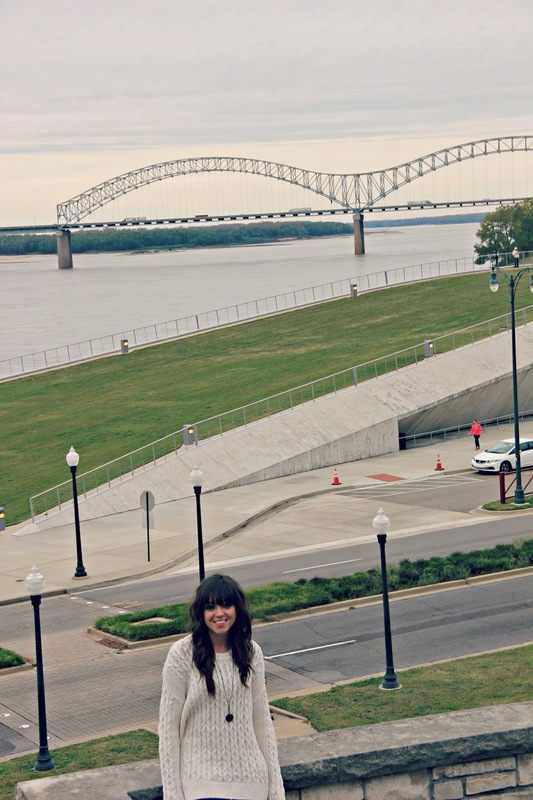 This particular sweater was perfect for our Downtown Coffee Marathon! 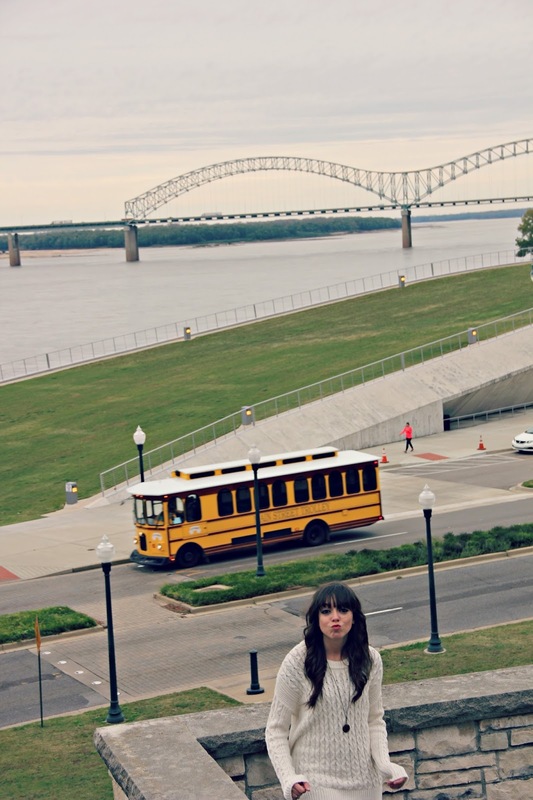 Andddd I wish I wasn't making a silly face while the trolley drove by!!! Minus me, this is such a great picture!! 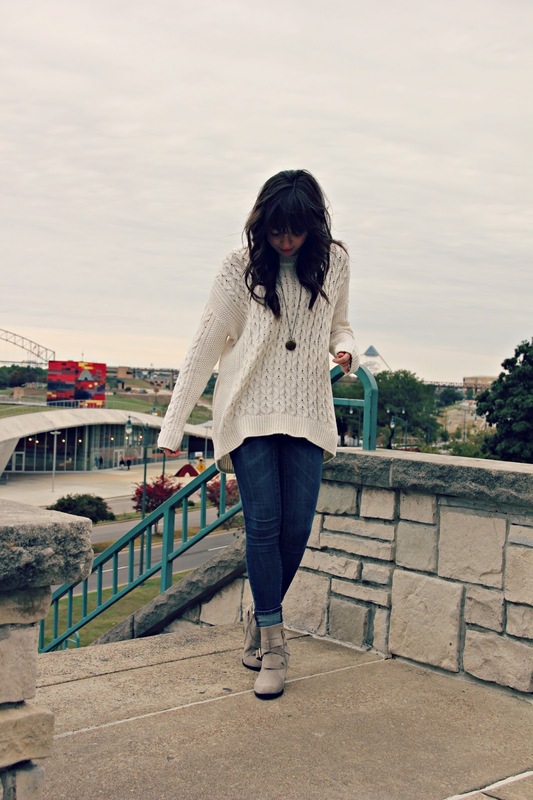 I love the cream sweater and booties. Such a cute fall look!